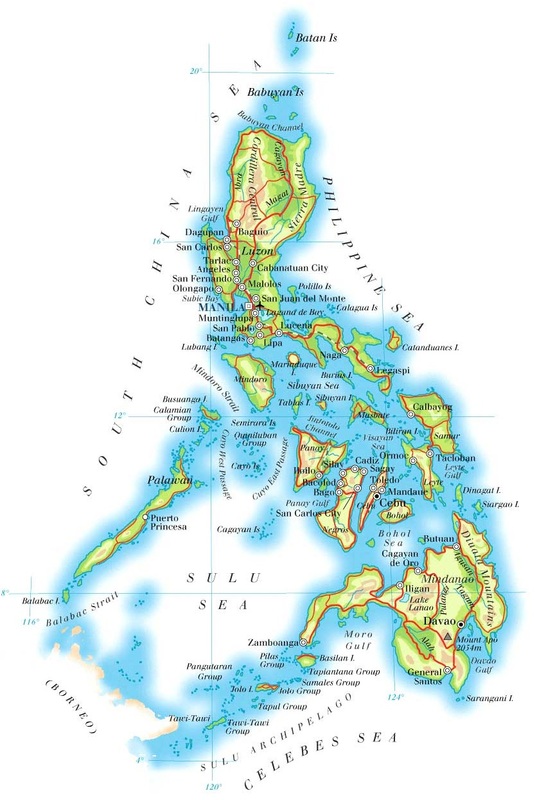 Officially known as The Republic of Philippines (Republika ng Pilipinas), the country is a democratic, republican, sovereign nation which is made up of 7,107 islands. Spanning more than 300,000 sq. km of territory, the country is divided into three island groups; Luzon, Visayas and Mindanao. The population of the country was just over 107 million (2014), while the main languages spoken in the country are Filipino and English. The seat of national government is located in the capital city of Manila. The Philippines is a unitary presidential constitutional republic, with the President of the Philippines acting as both the head of state and the head of government. The present head of state is President Benigno AQUINO (since 30 June 2010); Vice President Jejomar BINAY (since 30 June 2010). Philippines proclaimed its independence from the Spanish Empire on June 12, 1898, following the culmination of the Philippine Revolution. It is a founding member of both the United Nations (UN), and the Association of Southeast Asian Nations (ASEAN). The currency in the Philippines is the Peso (PhP) and the Centavo. The size of the Philippines economy was US$ 284 billion (2014) with the country recording 6.1% Real GDP growth in 2014. The largest contributing sector towards GDP was services (57.8%), followed by industry (31.5%) and agriculture (10.7%). The main propellants of the service sector has been the success of BPO operations as the country is recognised as a world leader in the outsourcing business. The industrial sector in the country mainly comprise of; electronics assembly, garments, footwear, pharmaceuticals, chemicals, wood products, food processing and petroleum refining. While the agricultural sector is rich in the cultivation of predominantly; sugarcane, coconuts, rice, corn, bananas, cassava (manioc, tapioca), pineapples and mangoes. The country inherits a blend of cultures as a result of Chinese, Spanish and American influences culminated in a unique blend of East and West, both in the appearance and culture of the Filipinos. Unparalleled hospitality, a trait displayed by every Filipino, makes the people legendary in Southeast Asia. Perhaps due to their long association with Spain, Filipinos are emotional and passionate about life in a way that seems more Latin than Asian. The Spaniards introduced Christianity (the Roman Catholic faith) and succeeded in converting an overwhelming majority of the population. While the American occupation was responsible for teaching the Filipino people the English language. The Philippines is currently the third-largest English speaking country in the world. The country’s average temperature ranges from of 25-30 degrees Celsius, while average humility is around 77%. The first half of the year, from January to May, is the best time to visit the country. November to February is cool, while March to May is hot and dry. Having one of the world’s longest coastlines, the Philippines offers an array of limitless attractions found all over her more than 7,100 islands. 09.00 a.m. to 12.00 p.m.
09.00 a.m. to 3.00 p.m. Copyright © 2015 by Consulate of the Republic of Philippine .